I luv what toner does for my face but commercial brands in the past would irritate and dry my skin out so much, it would actually make my face even MORE oily. I'm fast becoming a certified mixtress. 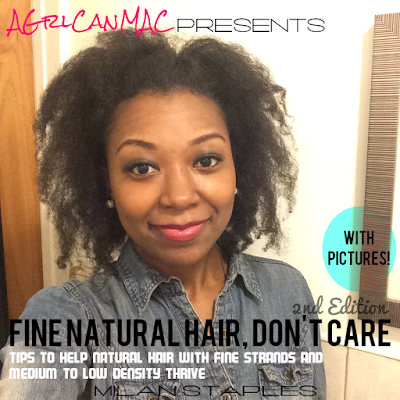 I decided to try the acv rinse I use on my hair on my face. Eureka! It works FABULOUSLY! I've been using it for about a week and so far, my skin feels even more amazing since I've started. It's smoother and brighter. 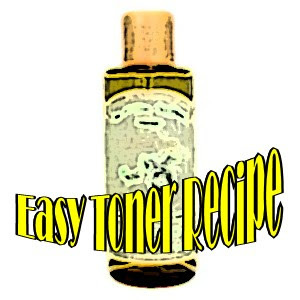 I'm luvin it and am glad to add toner back into my skin care regimen. After seeing these results, it was truly missed! I just had to find something that works for me. I cleanse my face first, pat dry, then put some of the toner on a cotton ball to put on my face. After that, I moisturize my face (w/ a lil aloe vera gel and 2 drops of avocado or coconut oil). Voila. It's best to shake before use. I put my mix in an old face wash bottle; you can try putting it in an applicator bottle as well. Pop over and enter my contest for a free all natural, handmade skincare kit from Skin Scentuals. It's worth $54! She makes products just for sensitive skin. I've been using her stuff for almost a month now and I really like it. The contest runs through May 31. On a diff note, I can't add comments to my blogger page for some reason, so I can't respond to any of your comments. I'm not ignoring you. Gotta get that fixed. Instead of using the aloe vera gel can you use aloe vera juice? I have the acv, aloe vera juice, and co. I've never tried it with aloe vera juice. So if you try it, please share ur results! Thanks for the toner idea. How did you make your site a dot com? Didn't realize you had a post on ACV toner as well...I was doing my independent search about natural products for acne prone skin, after seeing your post on Chlorella and came across the ACV toner. Will be adding this to my newly constucted skin care regimen.